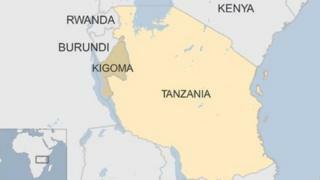 Tanzanian police have charged 23 people with murder after seven villagers were burned alive on suspicion of witchcraft. Though the attacks in Murufiti, a village in the western Kigoma region, happened on Monday, reports only surfaced with the arrests. Five of those killed were aged over 60, the other two were over 40. A Tanzanian human rights group estimates that 500 suspected witches are killed in Tanzania annually. The suspects were arraigned in court on Friday and accused of murder. They remain in custody. Of the detained, at least one is a local leader, according to Kigoma police commander Jafari Mohammed. Witnesses say some of the victims were attacked with machetes and their homes burned. The son of one of the victims, Josephat John, told Tanzania's Mwananchi newspaper: "When I returned home in the evening, I found the body of my mother lying 10 metres away from our house, while the body of my father was burnt inside the house." Hamisi Richard, the leader of Murufiti village, told the BBC: "Men and women have run away from the village. Even children are not there... Everyone was scared of that event, and others feared police search." Belief in witchcraft is prevalent in many parts of Tanzania. Between 2005 and 2011, reports say around 3,000 people were killed after being accused of being witches. Several of the victims were old women but witch doctors - village healers who are sometimes involved in the witch hunts - have also targeted young children and albinos, the latter because their body parts are thought to bring prosperity.